This weekend we went to Centre Parcs with my mum and stepdad for my mums birthday and my brother joined us for the day on the Saturday. We did a lot of eating and I have been having to undo my jeans button by the end of the day now as the bump is growing! We also went swimming a couple of times and I went down some of the ring rides as they looked pretty safe but I avoided the rapids after H went down and decided they were too rough for me and bump! In my swimming costume it was just about showing, but could easily have been confused with bloat…not a good look! We also had our second scan this week however H couldn’t get the time off work so I took my mum. The baby had grown so much in just 2 weeks and it’s features were much clearer this time, including it’s pointy chin which mum thinks has come from me! She was amazed as was I; I just wish I could watch it moving the whole time. 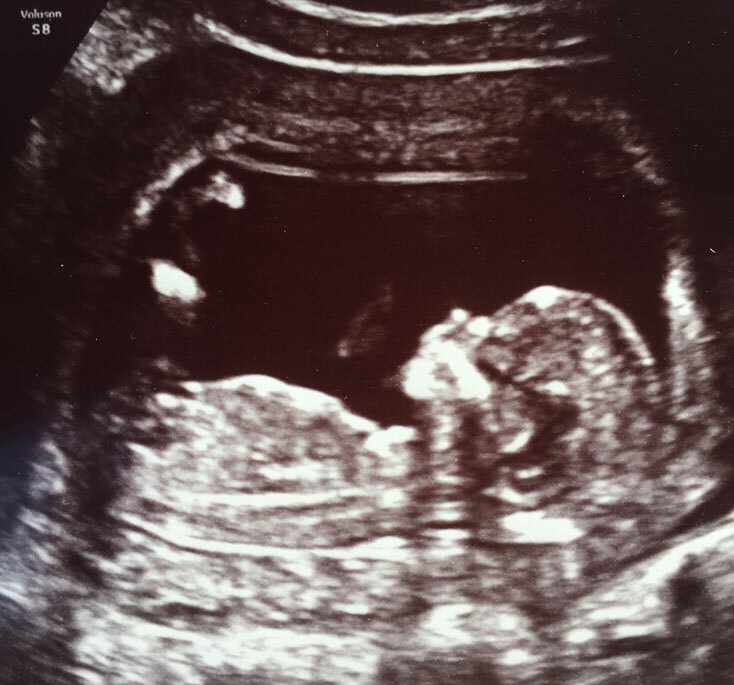 I think it’s a girl and always have done but it may be because we had decided on a girls name so early but are yet to decide on a boy’s, mainly because H doesn’t like any of my choices! 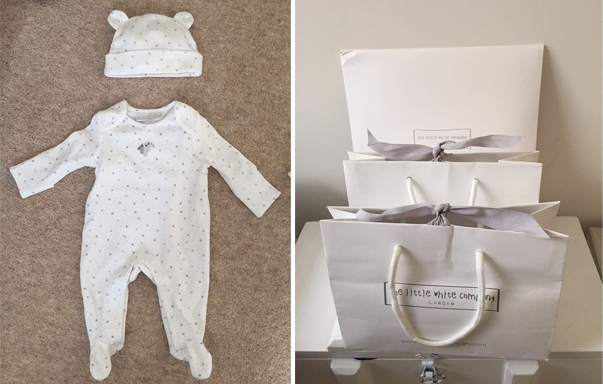 To celebrate I thought I would treat myself, well more Baby G than me, to a little present and bought my first baby outfit from The Little White Company – one of my favourites! Although the choice for neutral baby clothes is pretty limited, I found a little babygrow and went back the day later to get the matching hat and mittens which were adorable. I can’t believe there will be a human in it in six months time! It’s here! 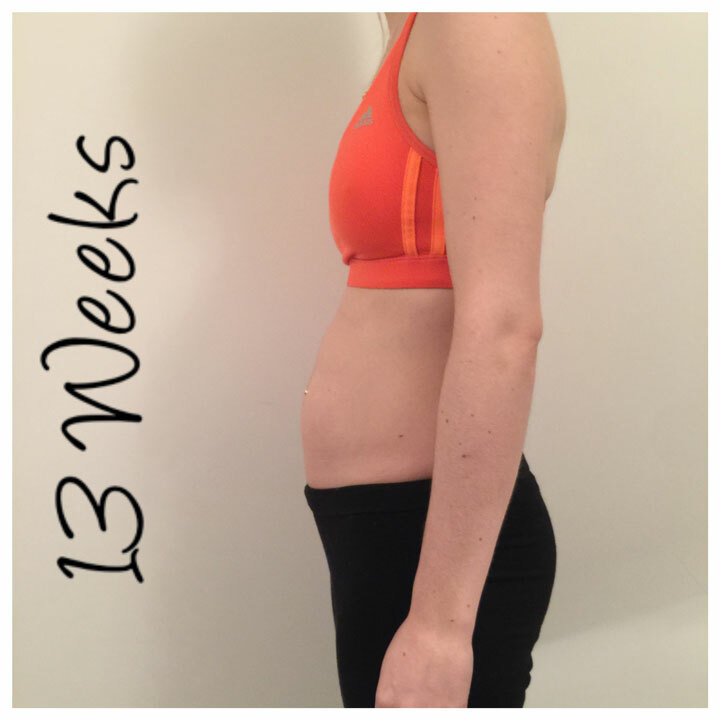 I survived the first trimester and i’m into the second but I have to admit it has been the longest few months ever trying to keep it a secret! I’m also starting to get a tiny little bump now. I have decided to tell work this week too as I will be needing some time off for the second scan next week. I was really nervous and having sleepless nights, mainly because I didn’t know what the reaction would be or how I would go about telling my manager. However we went for a coffee and I told her and she was amazing and really supportive and excited which was a weight off my shoulders. I also then received a lovely email from the boss which made me cry… hormones! We agreed that I would tell the team this week too so I announced it at the end of a team meeting and everyone was very excited! 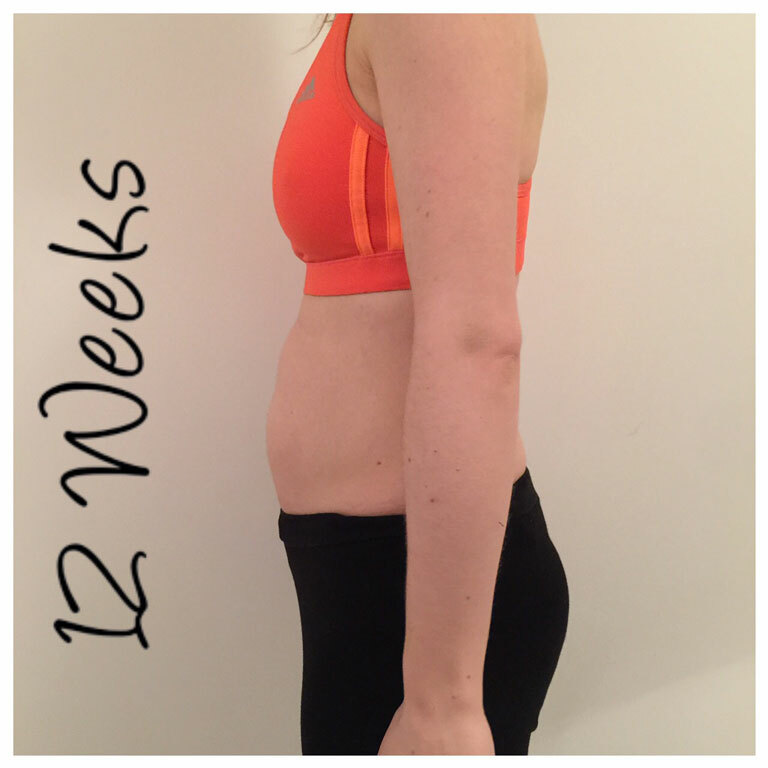 I also started my first ante natal pilates this week, it was so much fun and great to meet lots of other pregnant mums-to-be so i’ll definitely be going back. At the weekend I sent my scan picture to my uni friends in a group message and explained that this was the real reason I was so tired and not drinking when we all went out! No one could believe it and they all rang me consecutively to hear all about it. I also sent it to my friends at home and had a similar reaction! 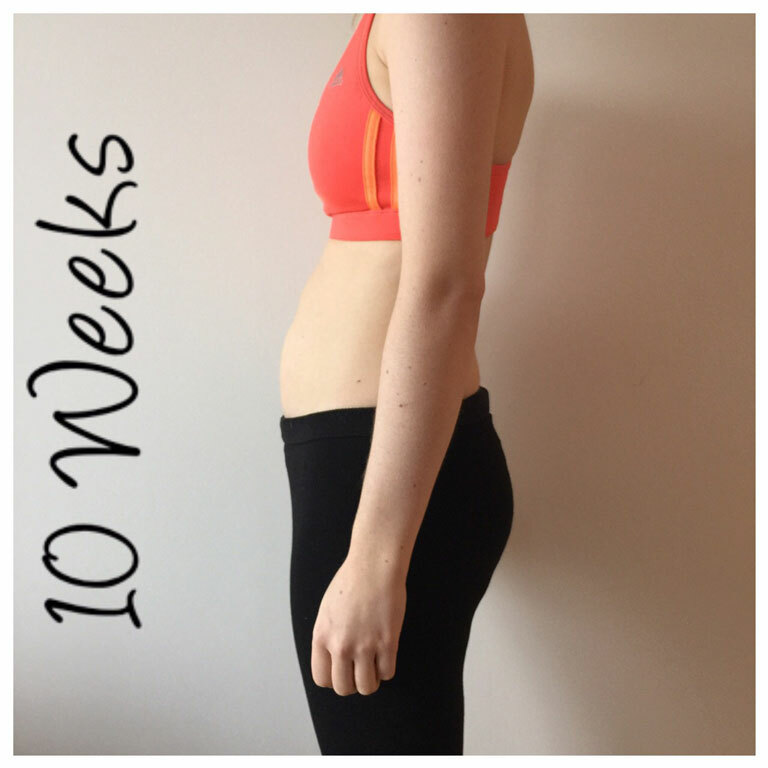 I’m starting to feel more normal this week and my appetite is back to normal (rather than wanting to eat everything in sight!). We looked through some old baby photos of H this week and it got us thinking about what our baby will look like, I can’t wait to find out! I don’t feel as sick this week but still quite tired. 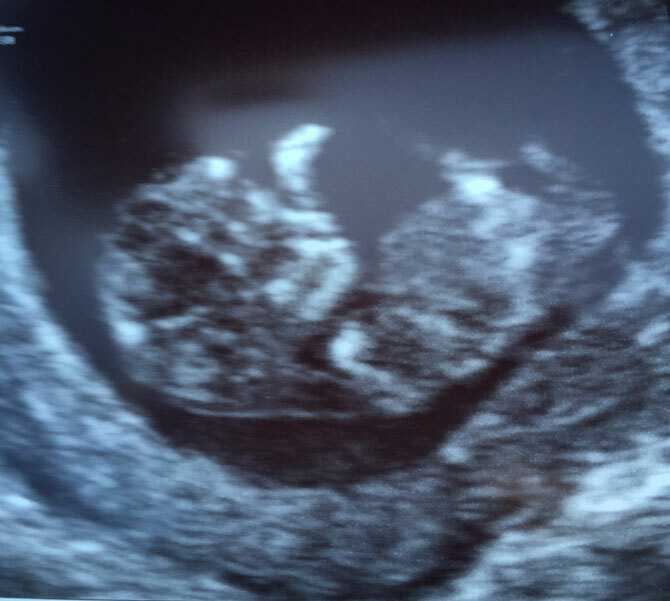 We also had our first scan! I took the day off as holiday as I haven’t told work and H took half a day too. I couldn’t believe that it actually looked like a baby and was moving around! 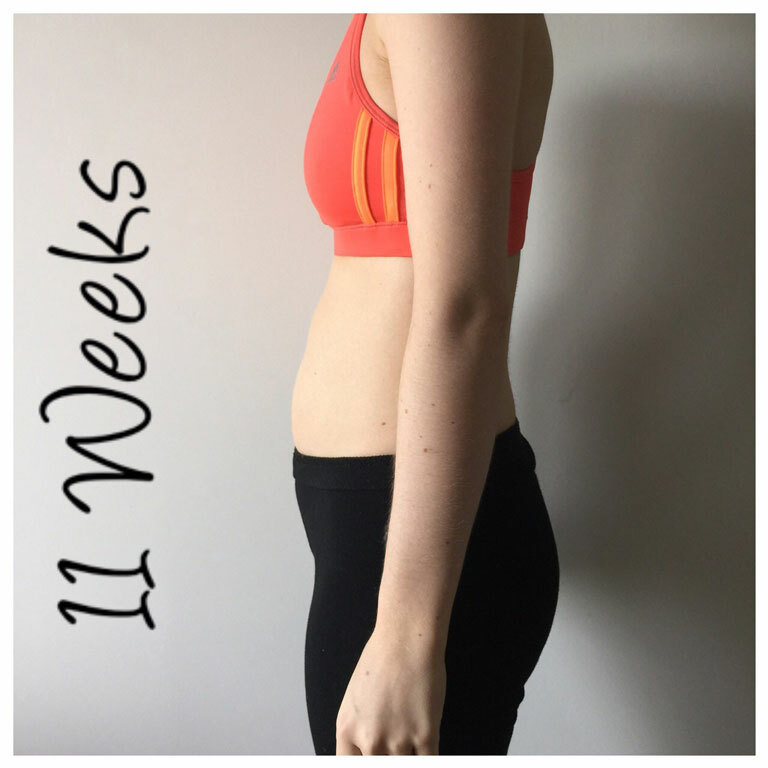 I was mesmerised by it, as was H.
Although I was actually 10+6 when we had our first scan, the doctor and midwife had dated us a week ahead of what we were, therefore we were a couple of days too early to get the screening test done so were booked in to come back in a couple of weeks. I also saw the obstetrician as I am on medication for arthritis so they will be keeping an extra eye on me and may mean further scans and tests down the line to check the baby’s growth. In the evening we went round to our friends for dinner who are expecting a baby in 2 weeks! We couldn’t contain ourselves and told them our news which was great as I now had someone who was also going through pregnancy to discuss it with. They gave us lots of advice as they already have an 18 month old so are well experienced!